Above is a carved High Density Urethane Sign for retail sales. 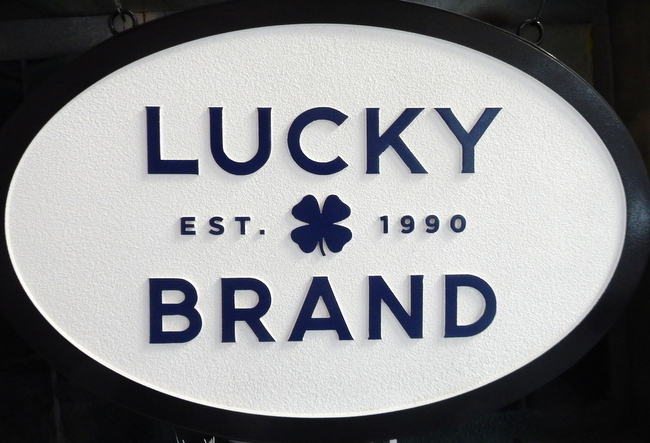 This sign features carved 2.5-D (raised flat relief) text, borders and a four-leaf clover, the logo for "Lucky Brand." The sign is then painted with long-lasting automotive-grade enamels and clear-coated twice, making it ready for either indoor or outdoor use.